AVAA took over operation of Austin ArtSpace in January 2011 as a way to expand the opportunities for Austin artists to exhibit their work. The 1300-square ft. studio/gallery coop with a commercial storefront continues to be run as a collective, managed by AVAA. AVAA and the resident artists are committed to providing a professional space where emerging and established artists can create, collaborate and present their work. 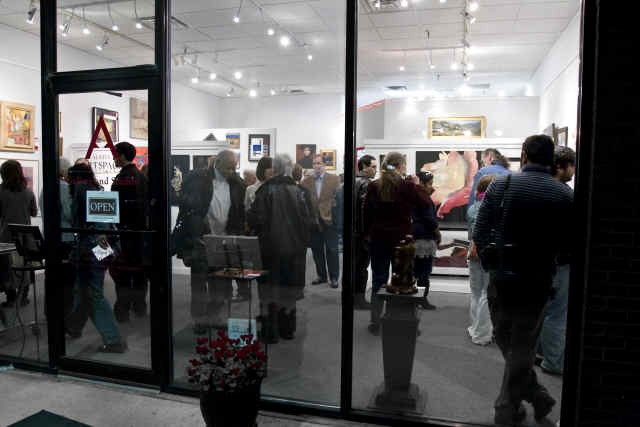 Austin ArtSpace holds annual juried shows and rotating exhibits throughout the year in its front gallery, providing AVAA much-needed space for its ongoing Exhibits Program in a permanent space. Unlike traditional galleries, no commissions are taken, and artists receive 100-percent of their sales. Group exhibits like the 12X12 Show, The Austin Figurative Show, and the WEST Studio Tour typically feature 30 to 60 local artists per show. Click here to visit the Austin ArtSpace website.